Ascari House oferrs chalet accommodation in the village of Steventon near Abingdon. Surprisingly well turned out and comfortable with some funky bath time treats. Don't let the word 'chalet' put you off as the accommodation here is above the usual standard and very good value for money. Steventon is only a small village, and though it may lack the flash bistros and the brands of nearby towns like Abingdon, it does have some hidden jewels where pubs and restaurants are concerned. It also has a charming medieval quality. Not that's there's anything remotely vintage about Ascari House. Set in a private and secured residential area the bed & breakfast chalets offer comfortable accommodation for business and leisure stays. 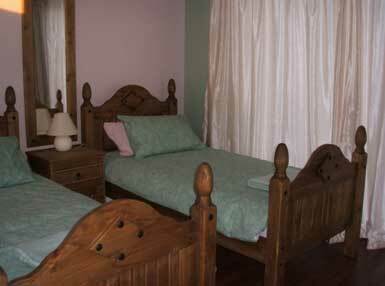 All bedrooms are en suite and boast modern pine furnishings. The bathrooms are fully tiled and feature everything from Jacuzzi baths to overhead televisions. Ascari House is just a few minutes away from the pub, a children's playground and a Post Office.